Just like in social situations, first impressions of your real estate listing count. A lot. 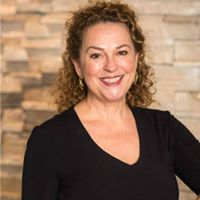 Barbara Corcoran famously said that home buyers decide if they want to purchase a home in the first eight seconds on the property. To help your future clients fall in love faster, we put together this list of 29 curb appeal ideas from the pros for any type of budget. 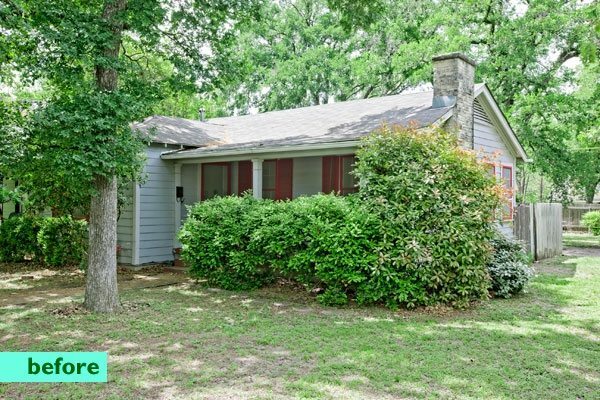 Promoting a house doesn’t stop at the curb. Once your house looks great from the street, print some flyers to get it in front of even more prospective buyers. Click here to design your flyer with one of ProspectsPLUS!’s many real estate templates. Curb appeal can be expensive. But it doesn’t have to be. If you know you are selling your house three to four months in advance, you can have an amazing-looking house full of color, butterflies and friendly bees buzzing happily along the path to the front door. You need a lot of plants to make an impact. Assume the house will be on the market for about six months. You need flowers and plants of all colors that complement the facade of the house. Plant flower seeds three to four months in advance. For a few dollars, you will be able to get hundreds of flowers. 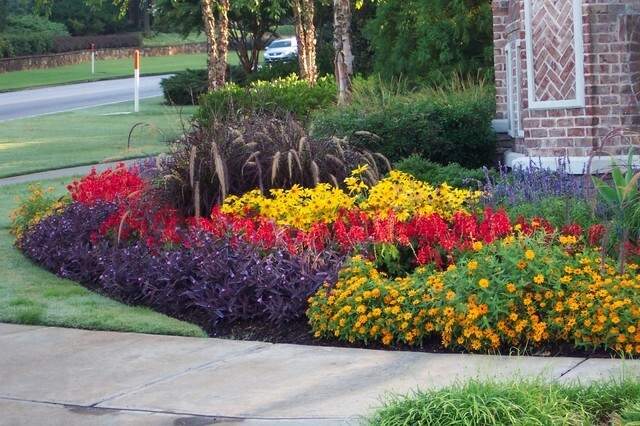 Coordinate them so you plant varieties that bloom obsessively, so that you have a changing color palette for eight months of amazing curb appeal, literally for less than a hundred dollars. Planning is everything. Rubber Mulch comes in a variety of different colors and gives owners the ability to create a good contrast or blend. This gives you the opportunity to frame your home and accentuate the facade in such a way that will make it pop for that wow factor we all desire. It also keeps plants healthier for longer as it insulates from extreme heat and cold. 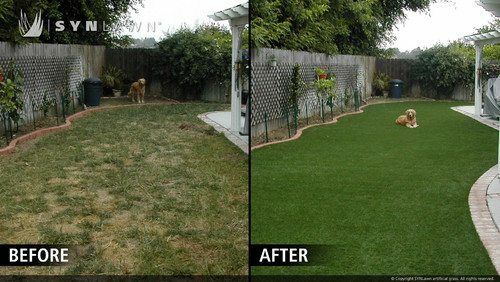 In addition, it helps keep fungus and weeds in check, which gives that low maintenance impression that adds to the overall property appeal. Your home should be a place where you feel safe. 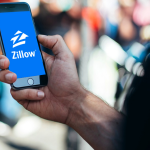 Home buyers want to look at their house with a sense of peace, knowing they’ve invested in a home that will protect their family and won’t have any surprises like a need for renovation. 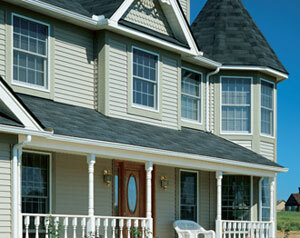 Quality Vinyl Siding is a great, safe choice for a home’s exterior. Vinyl Siding has a clean, quality look that looks fantastic on any home and is exceedingly customizable to many different styles and colors. It is also is applicable to any size or shape home. They should take one look at your property and see the time, money, and quality products you’ve put into their future home. This is a huge selling point in the home buying industry. First, I like to establish a path to the entry from the road that leads guests to the front door. This could be an allée of trees, a hedge or a border of flowers along pavers or brick. These elements can be formal or informal depending on the architecture of the residence. Remember to work with the architecture. If you plant a very feminine, flowery Victorian garden in front of a masculine, Prairie-style house, it will look wrong—like a lumberjack trying to wear a tutu. House numbers need to stand out, so it’s a great opportunity to turn it into something eye-catching to impress anyone who passes by. Depending on how your front lawn looks, there are many ways to make your house number pop without making a large dent in your budget. 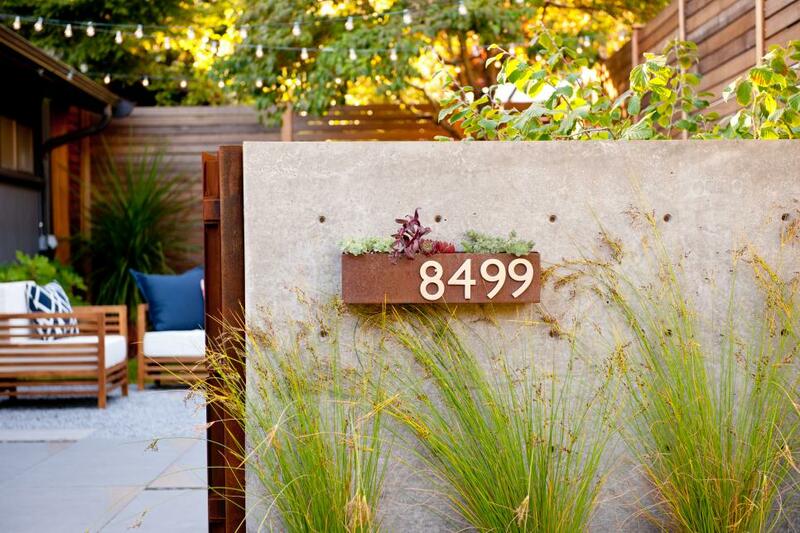 Homeowners will love it because you can get great-looking house numbers for less than $20. Adding a rain garden to your yard in an inexpensive way to collect storm water runoff and use it to water your plants. They prevent soil erosion, help control flooding, conserve water and attract pollinating birds. These gardens also collect water that would normally pool in your yard and attract mosquitoes. The native plants in your garden will absorb the excess water and neutralize any pollutants. A successful rain garden will also reduce your water bill! You can’t avoid having eyesores around your house. From garbage bins to air conditioning units, homeowners would usually ignore it, thinking that it will take too much effort or money to conceal. However, the trick to these is camouflaging. Hiding eyesores in plain sight can be easily done with paint or a few strategic fencing ideas. Let’s face it. 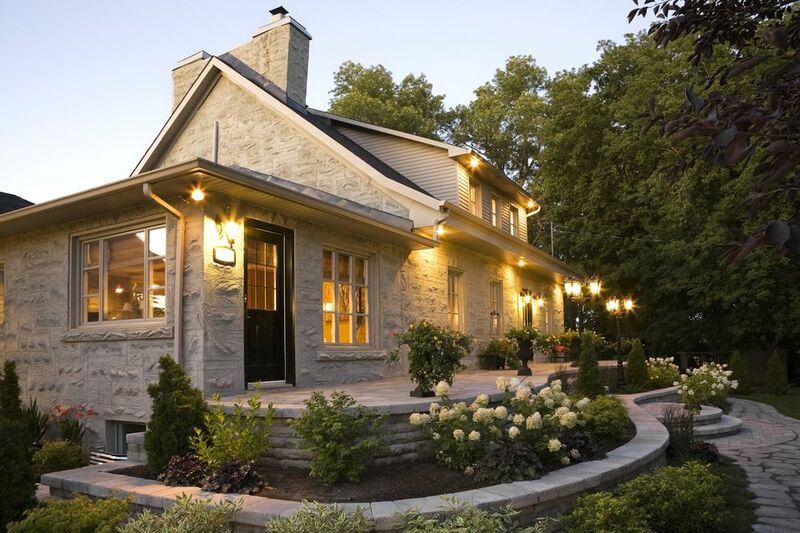 People gravitate toward natural brick finishes for homes. The texture helps break up an otherwise boring exterior, and brick or natural stone looks a lot more expensive that it really is. This is perfect for mid-century modern homes. These natural stone panels from FauxPanels, for example, run around $90 per 4-foot by 3-foot section. 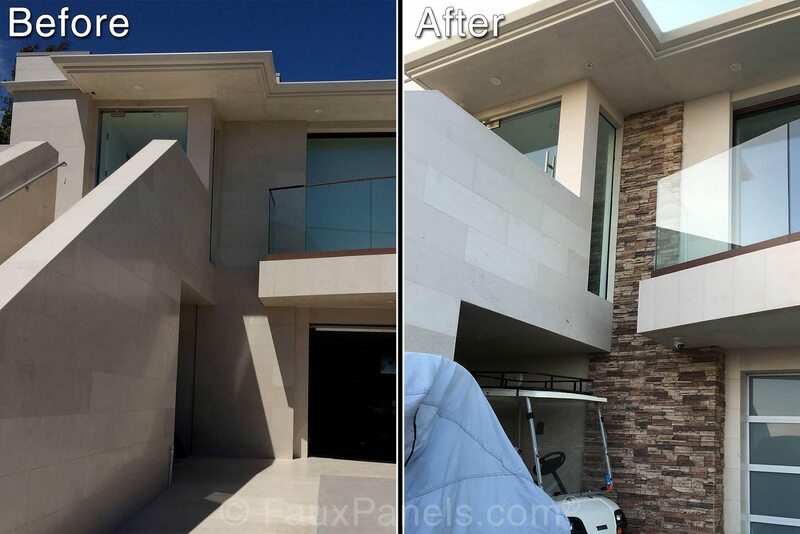 While it may not be cost effective (or visually pleasing) to cover an entire facade, accent walls, chimneys, and ugly cinder brick foundation all look 100 times nicer covered in a natural stone panel. 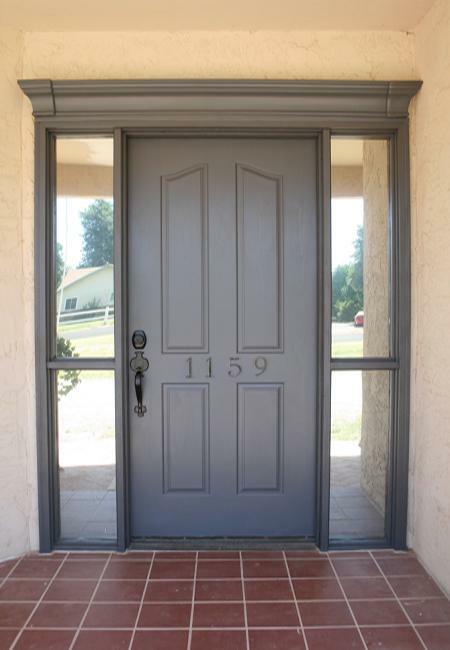 Door frames are oftentimes easily ignored, but this simple addition can instantly make a big improvement to your front porch. With some foam type crown molding that can cost as little as $13 in DIY shops and paint, you can have door frames easily installed in a day. Concrete patios aren’t exactly an eyesore, but they also don’t help adding to curve appeal in any way. While most people would immediately think of adding tiles, which can be expensive, another alternative is to stain your patio to make them look like tiles. Packs of decorative concrete coatings and ½-inch tape should get you the right results without burning a hole in your wallet. 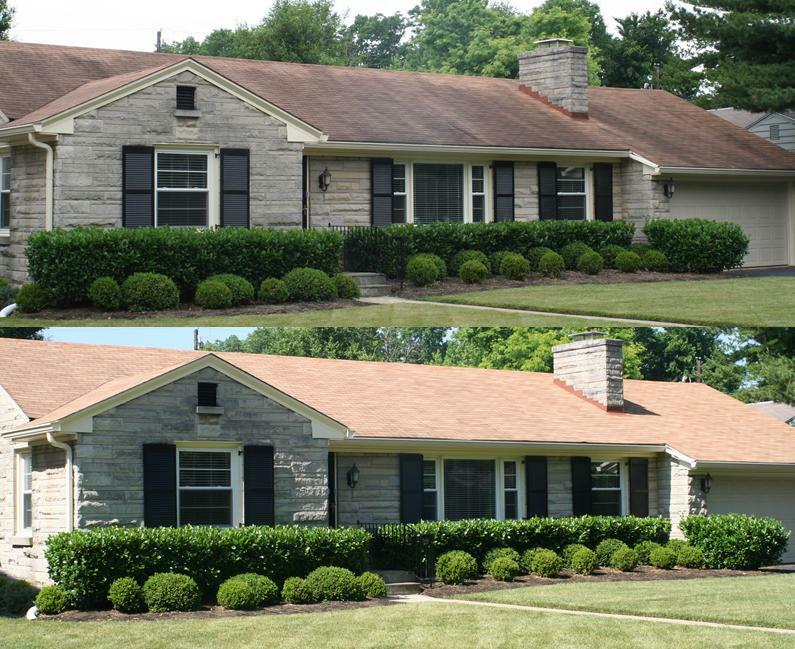 While trimming back the overgrown hedges made a massive difference here, changing the paint color also completely changed the look of this house. The gray was drab, bland, and uninspired, while the brown looks fresh and contemporary. 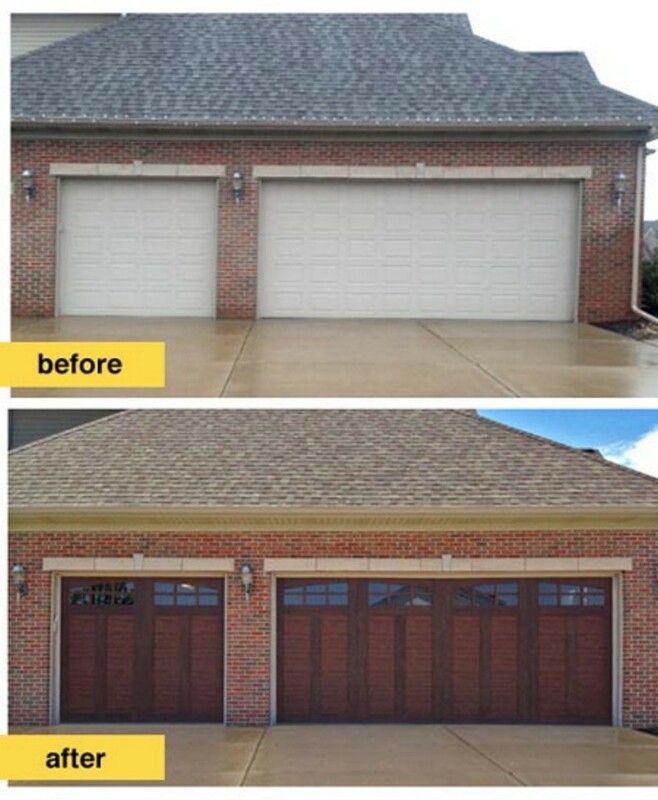 Garage doors can be large and imposing, so whatever state your garage door is can easily affect the entire look of the front of your house. There are a number of ways to give garage doors a good makeover, and they don’t have to be expensive at all. A bright coat of paint, window trimmings, adding a pergola, or hanging plants and even vines can make all the difference to add to your curb appeal. Everyone loves a lush green lawn, and no list of curb appeal ideas would be complete without lawn care tips. Aerating or re-sodding can be expensive, but for cheap, instant curb appeal improvement, lawn paint can make a brown lawn look fresh in minutes. Roof replacement involves serious money, so getting it cleaned to make it look new is the best option. But roof cleaning is not a simple process, and it involves a number of decisions on your part. 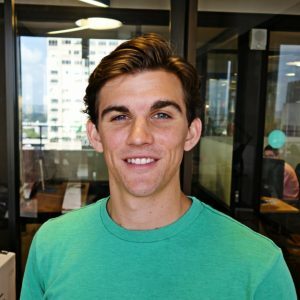 Know when you can DIY or when you need to hire professionals without getting overcharged. 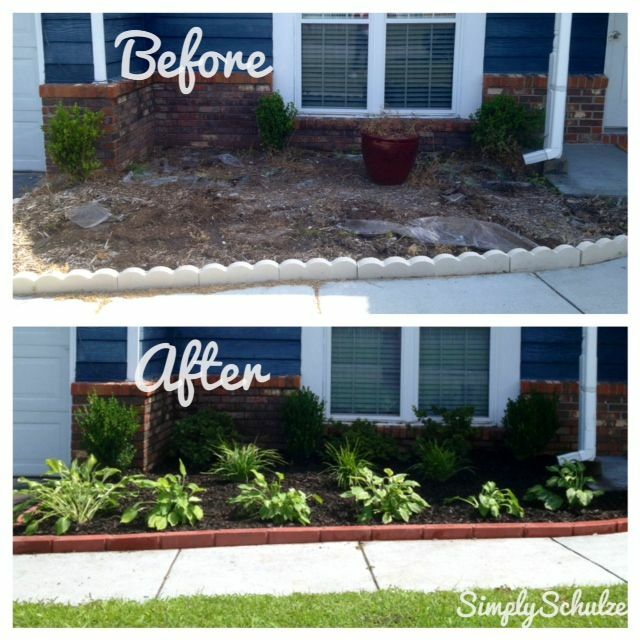 In addition to improving your landscaping design, brick edging is a maintenance-free way to avoid having your lawn claim your flower bed space. Brick edging gives structure to the landscape design and makes it more appealing to look at. 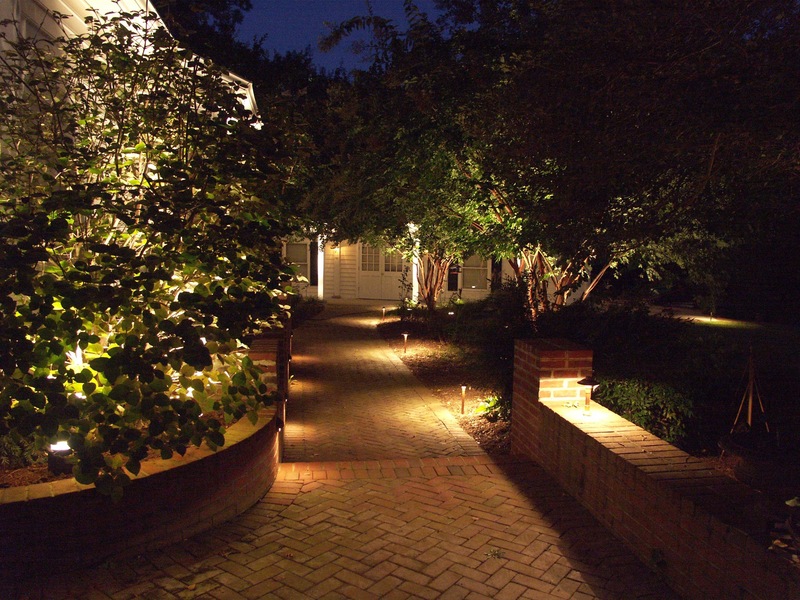 Create safe walkways and impress potential house buyers with these outdoor lighting options. The right lighting can increase your home’s appeal, especially in the evenings where it complements your landscape and immediately gives your house a cozy, welcoming vibe. Make sure to choose warm-colored lights. You can also experiment with solar lighting and string lights that are popular nowadays. Make sure your mailbox is in top condition because this is what anyone coming up to your house will see as they walk up. You can fix it up and cover it with fresh paint or get creative and decorate it to complement how the front of your house is designed. 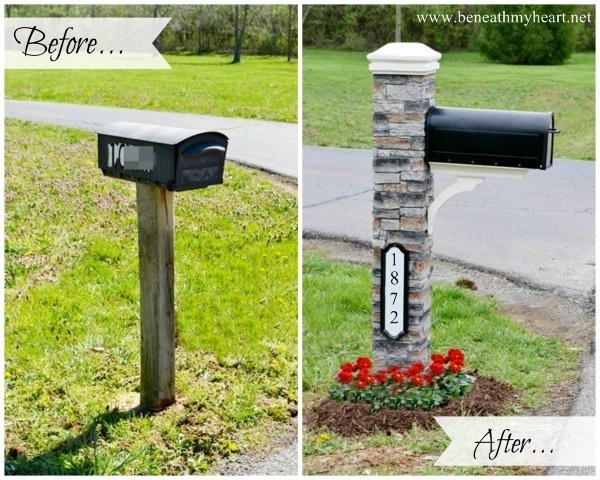 But if your mailbox is beyond repair, pick up a replacement from Amazon.com at a very low price. Herbs are always a welcome addition to anyone’s yard, and you can create hanging bucket herb planters that can also add to your yard’s aesthetic. 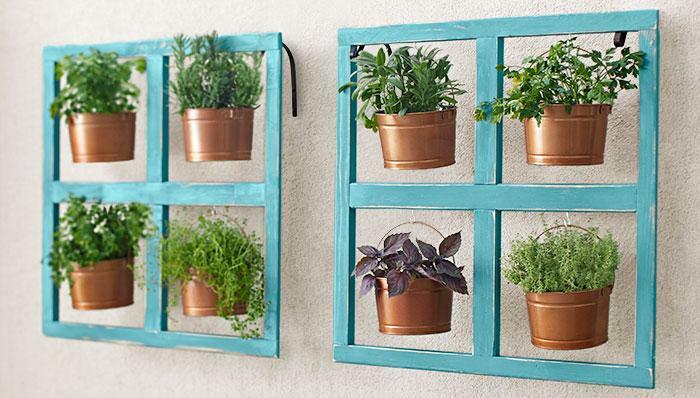 Most homebuyers would appreciate having their own miniature herb garden. 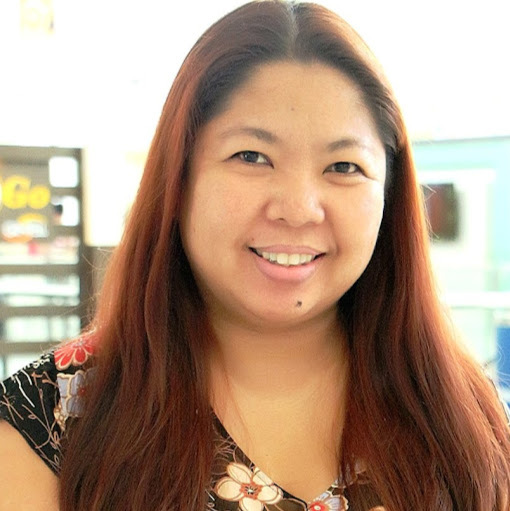 Know how to make your own out of simple, easy to find materials. To homebuyers, having a comfortable outdoor spot for your family makes it more appealing. 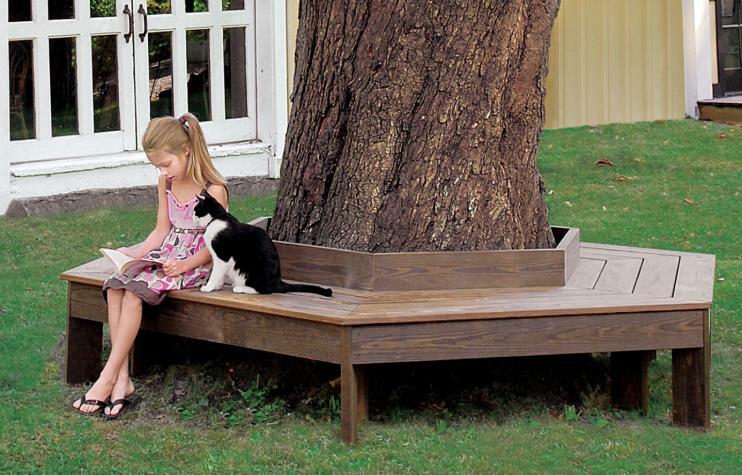 If by chance your front yard has a tree, you can turn it into an extension of your porch by adding a bench that a family can use for outdoor gatherings. 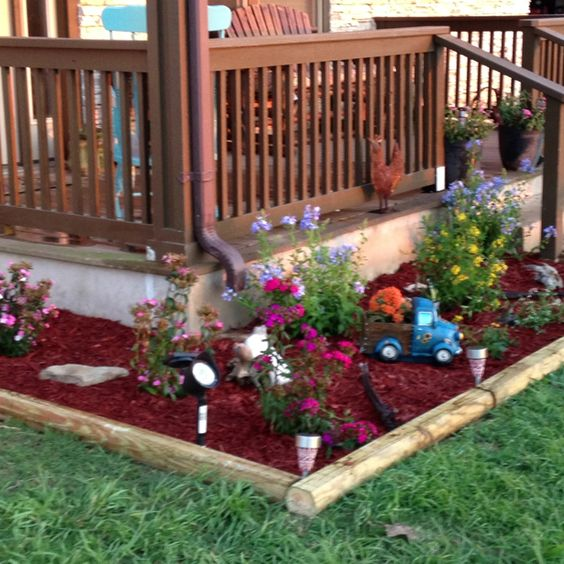 Even simple landscaping upgrades can make a huge impact on your listing’s curb appeal. There are a number of ways to design and add a pretty landscape to your home, and they don’t always have to be expensive. Think neat, tidy, and well-manicured. 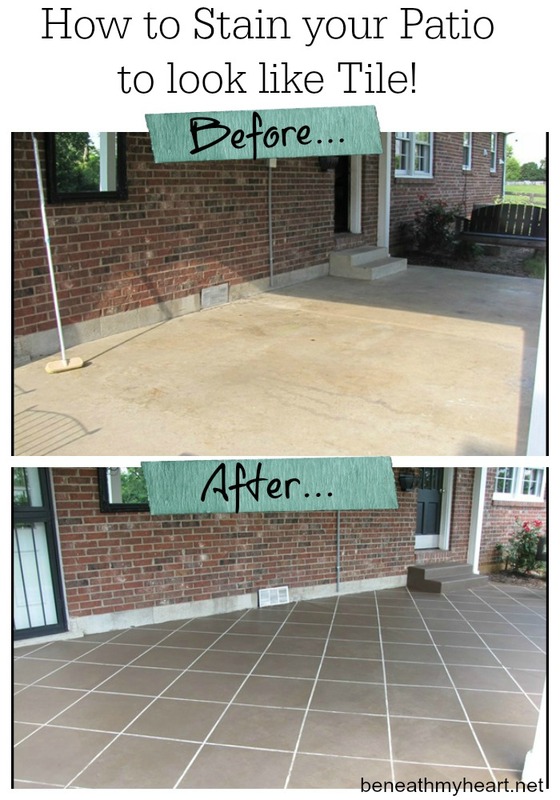 Your concrete floors, walls and driveway would benefit a whole lot from a quick exterior cleaning. Not only are they an eyesore, but those dark, difficult to remove stains are from mold, mildew, rust and other contaminants that can deteriorate your home. Before you even consider repainting, try having your house exterior professionally cleaned by either power washing, pressure washing or soft washing. 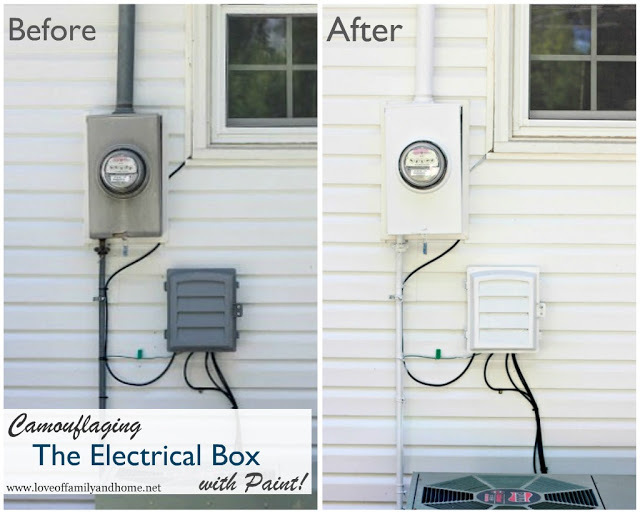 Another cheap and quick upgrade that can add a lot of curb appeal is replacing or refurbishing porch lighting. If the lights are in good shape but a little worn, they can be painted. Otherwise, replace them. 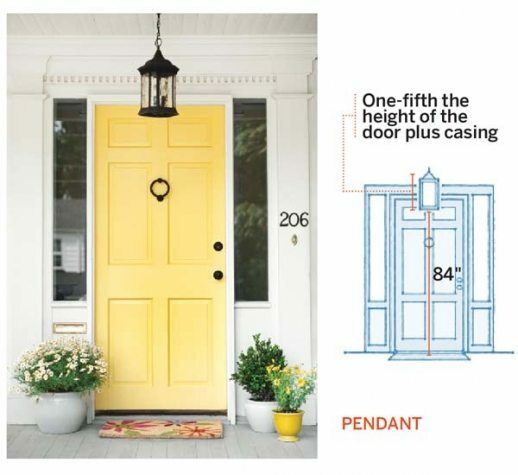 If you want to learn more about choosing the right porch light, check out this great guide from This Old House. Keep up curb appeal at night by installing solar path lights to add some drama to your listing. Aside from being eco-friendly, solar lights are economical, so you can stretch your budget and add enough of them around your lawn. You can buy a dozen solar path lights for $30. 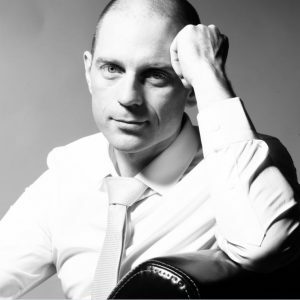 Music can soothe and relax buyers! 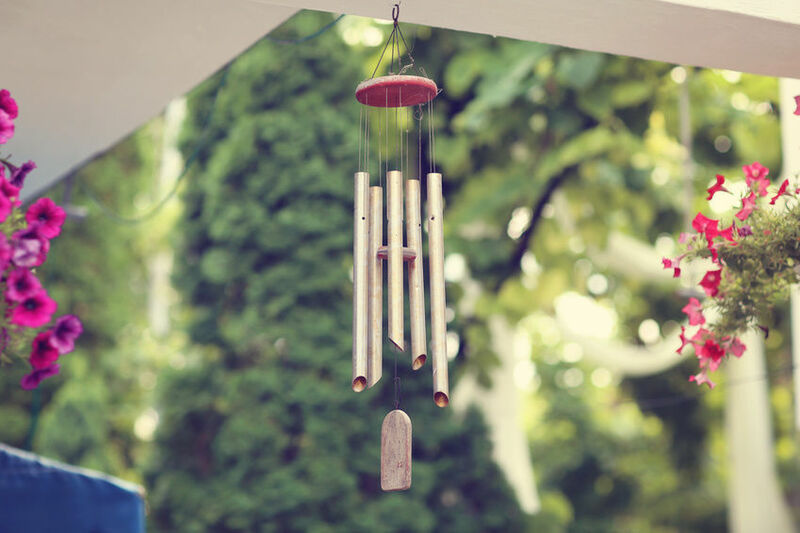 The sound of wind chimes in a gentle breeze will put a smile on even the most stressed-out home shopper or buyer’s agent. To keep the sound pleasant and relaxing, hang them strategically but remember not to overdo. 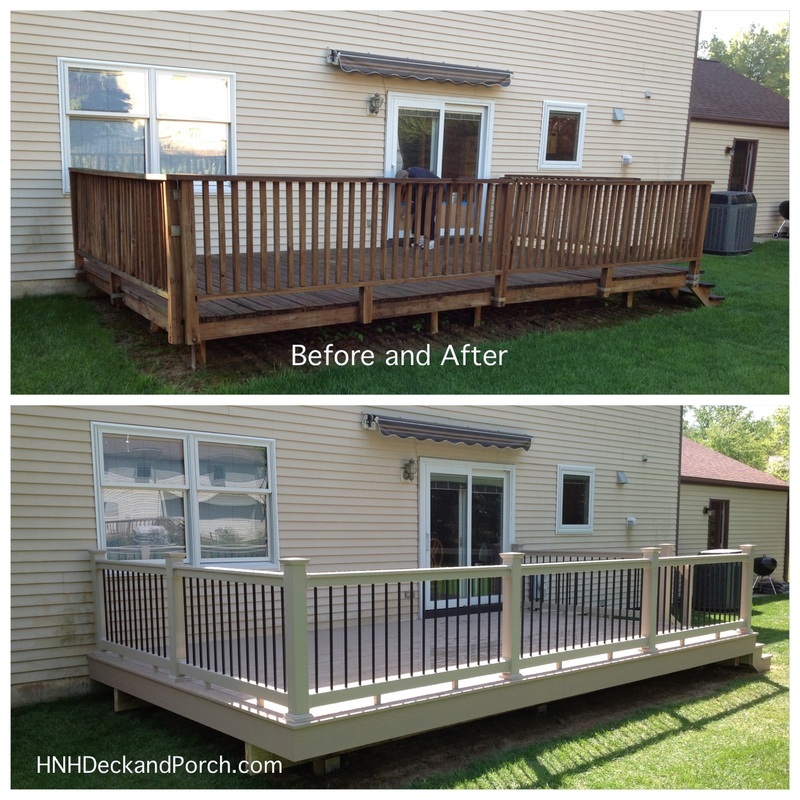 Go from an old to a new deck in four easy steps and watch the difference it makes to your home’s overall curb appeal. Having a deck involves maintenance, and using tips and tricks from the pros would make your task easier. 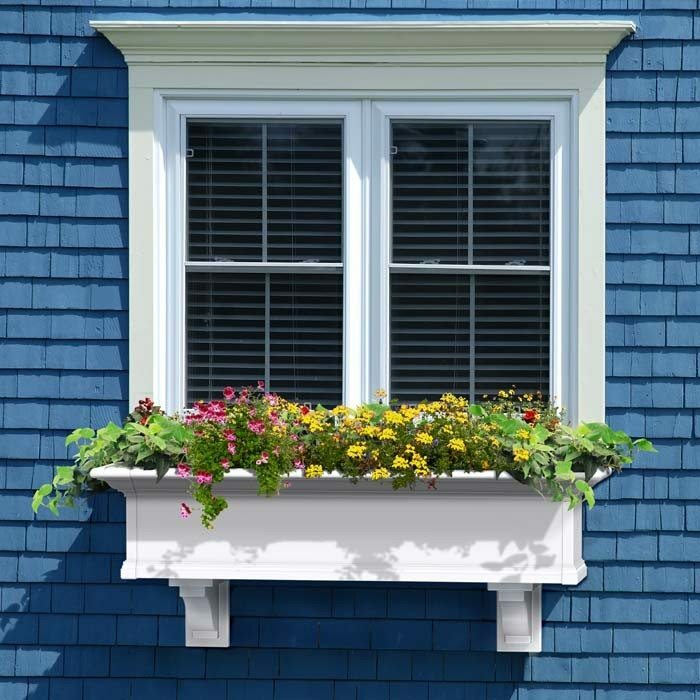 Window planters are an affordable and gorgeous way to accent an otherwise boring exterior. You can work with colorful plants or useful herbs to add more appeal for interested home buyers who are also cooking enthusiasts. 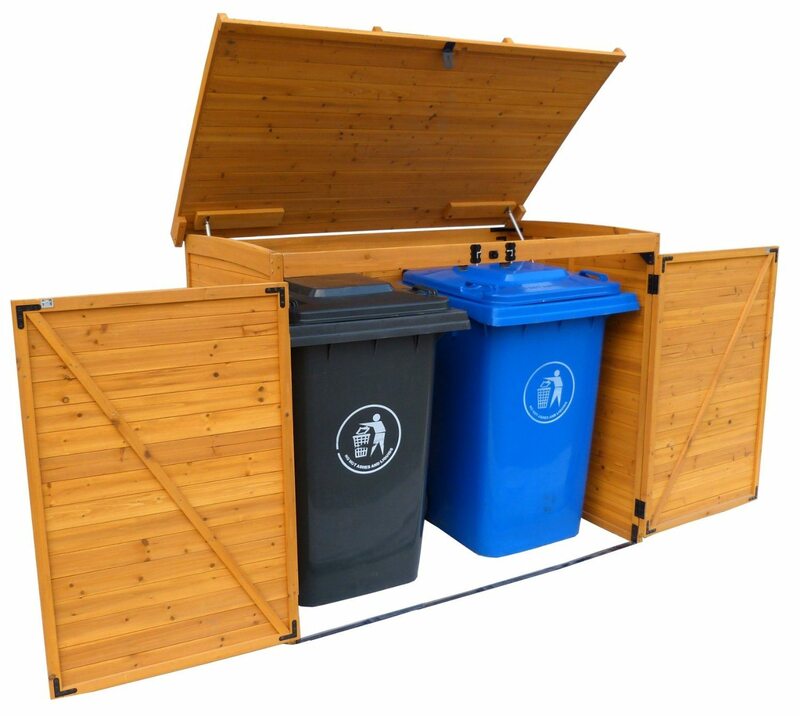 Instead of leaving unsightly trash and recycling cans on the side of the garage, hide them away with a storage shed. Aside for safety, you can turn those storage sheds into pretty works of art. It also has the added bonus of keeping raccoons out of the bins. 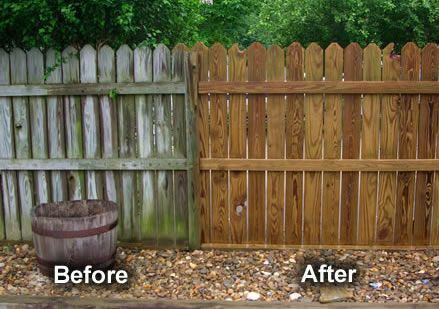 Wood fences can take time and money to maintain, but knowing quick tips on how to fix your fence to make them look brand new instead of replacing will certainly eliminate much pressure on your budget. Know how to upgrade your ratty fence to give you that curb appeal your home needs without breaking the bank. 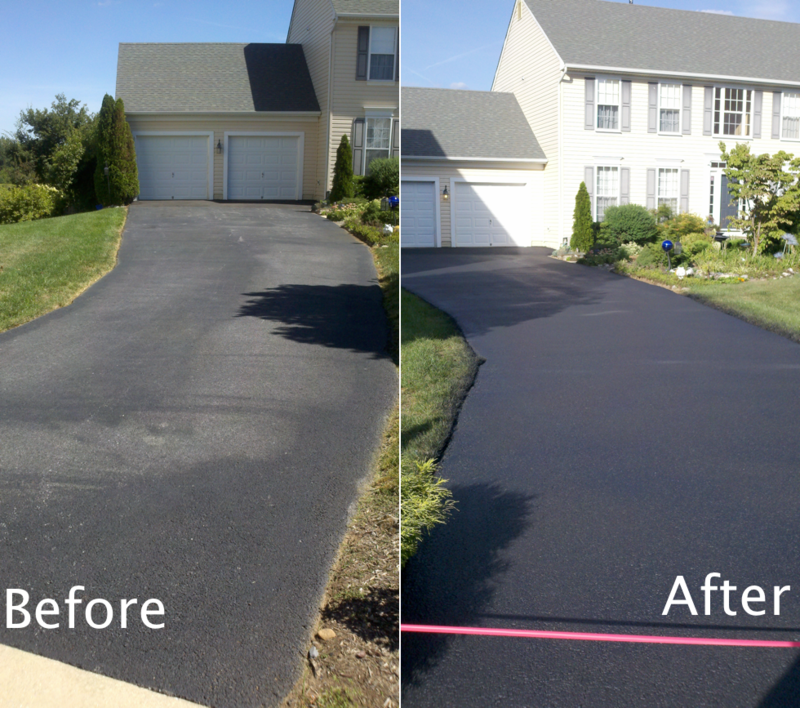 Driveways take up a large portion of a home’s front yard, so dilapidated and cracked asphalt driveways can ruin any upgrade you make on your yard. If your budget is limited, check out this article that shows how to DIY fix a hole on your asphalt driveway. 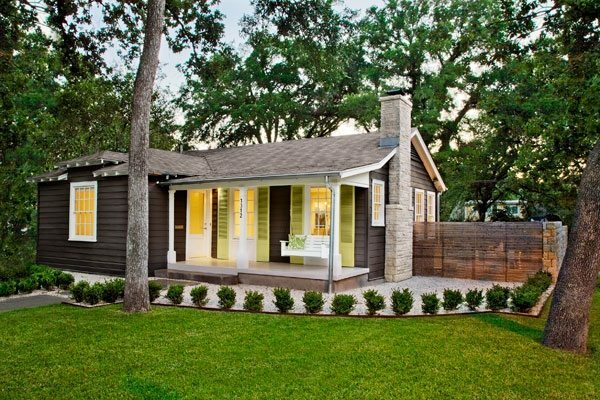 Have some great curb appeal ideas that we missed? Let us know in the comments. 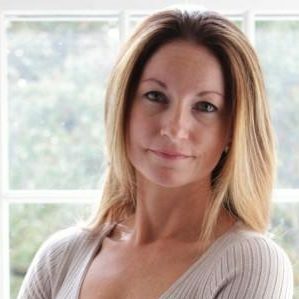 Excellent Article for Home Sellers!